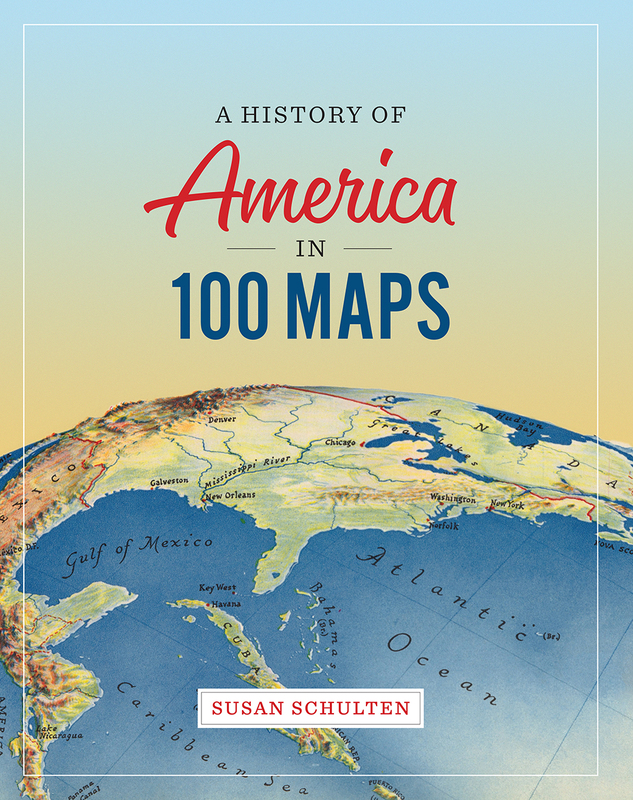 In this book Susan Schulten uses maps to explore five centuries of American history, from the voyages of European discovery to the digital age. With stunning visual clarity, A History of America in 100 Maps showcases the power of cartography to illuminate and complicate our understanding of the past. Gathered primarily from the British Library’s incomparable archives and compiled into nine chronological chapters, these one hundred full-color maps range from the iconic to the unfamiliar. Each is discussed in terms of its specific features as well as its larger historical significance in a way that conveys a fresh perspective on the past. Some of these maps were made by established cartographers, while others were made by unknown individuals such as Cherokee tribal leaders, soldiers on the front, and the first generation of girls to be formally educated. Some were tools of statecraft and diplomacy, and others were instruments of social reform or even advertising and entertainment. But when considered together, they demonstrate the many ways that maps both reflect and influence historical change. Audacious in scope and charming in execution, this collection of one hundred full-color maps offers an imaginative and visually engaging tour of American history that will show readers a new way of navigating their own worlds. "Maps often capture history much more economically than any narrative. This is Schulten’s premise, which she supports by offering 100 cartographic snapshots of America from the European arrival to the digital age." "Anyone who loves history, or maps, or American culture should read this book, from cover to cover.It is indeed a fabulous ride."